Sixth Form students and staff are celebrating the news Ofsted inspectors have rated William Brookes School and Sixth Form a Good school. The announcement comes as we prepare to welcome prospective A Level students from across Shropshire and Telford & Wrekin to our Sixth Form Open Day on 15 November. 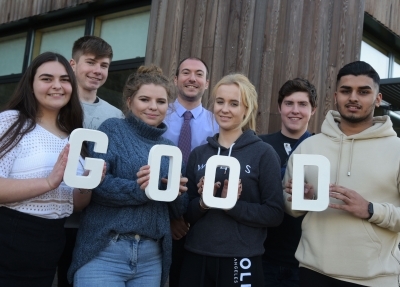 Rating the Sixth Form as Good, inspectors praised the standard of our A Level teaching, exam results, retention and the very positive environment. They identified that it is well led and that Leaders provide a wide range of high quality, non-qualification activity in which students are expected to participate. This ensures that all our students develop personal experiences and skills and are able to successfully move into higher education or work-based employment at the end of Sixth Form.